On a freezing night at Millwall, Wayne Rooney and Franck Ribery are given their final instructions before shooting a glitzy World Cup commercial. Rooney is told he should run at the Frenchman but to make sure he stops before making contact. A couple of extras will be used for close-ups of the actual tackle. 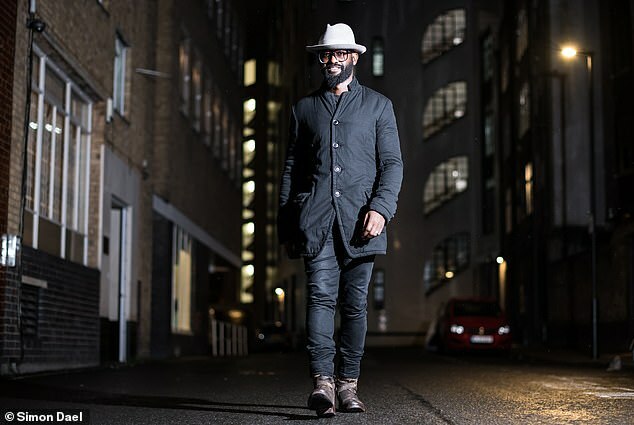 Doing the telling is Andy Ansah, once of Southend United but now the world’s foremost football choreographer with clients from Cristiano Ronaldo to Usain Bolt. With his flourishing beard, oversized glasses and hat, the flamboyant 49-year-old is happily recounting a life of two halves; first on the pitch, then even more successfully behind the camera. He starts at the beginning, the single mum who brought him up in Lewisham, going from one cleaning job to another to keep her family afloat. His own burgeoning football career saw him play for Crystal Palace youth with Gareth Southgate before taking off at Southend. Ansah’s Premier League ambitions were rocked by a bad knee injury at 24. ‘They drilled 20 holes to make the bone grow back but I was playing with one knee after that,’ he says. He retired from professional football six years later after struggling with various lower league clubs, but as one door shut, another opened, as a £50-a-day extra on Sky TV football drama Dream Team. It started a remarkable journey. Ansah was involved in storylines, and got footballer mates such as Andy Cole to appear as guests for nothing. His reputation grew to the point where big-time director Danny Cannon offered him the chance of going to Hollywood to work on feature film, Goal. ‘I jumped on my moped to meet him in a London hotel. Danny said it would change my life and he was right.’ says Ansah. Working on the movie gave him the confidence to set up his own company, Sports on Screen, which for the last decade has become the leading choreography, consulting and casting agency in sport. He has worked with Rooney for 15 years and was involved in his Street Striker series. His relationship with Ronaldo started with the Joga Bonito Nike campaign in 2004 and remains strong now. Ansah did not play to the level of the idols he works alongside but believes his experiences as a sportsman have helped create a bond. ‘I can translate the athletic and filming side because I played football for 15 years and have been on sets for longer than that. They see me as their companion, whereas they might be looked at as a caged performer by everyone else. Ansah introduced a new football phrase, Unbelievable Tekkers (great skill), when filming television’s Street Striker series with Wayne Rooney. It was later popularised even further by cult show Soccer AM. Explaining the origins, Ansah explains: ‘We used it in local football as our own private word for technique. When I wanted Wayne to do a skill, I’d say “Tekkers”. Ansah’s company employs about 20 people in England, Europe and Los Angeles. They have their own studio in south London. It has a family feel to it. Adam Fry, son of his former Southend boss Barry Fry, is on the payroll as a sports model. He feels closer to Rooney than any of the other superstars he has met and befriended. ‘I was in Madrid shooting when Wayne called out of the blue and invited me to Manchester United’s Champions League final against Barcelona [in 2011]. ‘I took my son to Wembley with me. That’s how tight I am with Wayne. It’s a friendship based on sincerity, we act the same whether on set or watching a game on TV together. 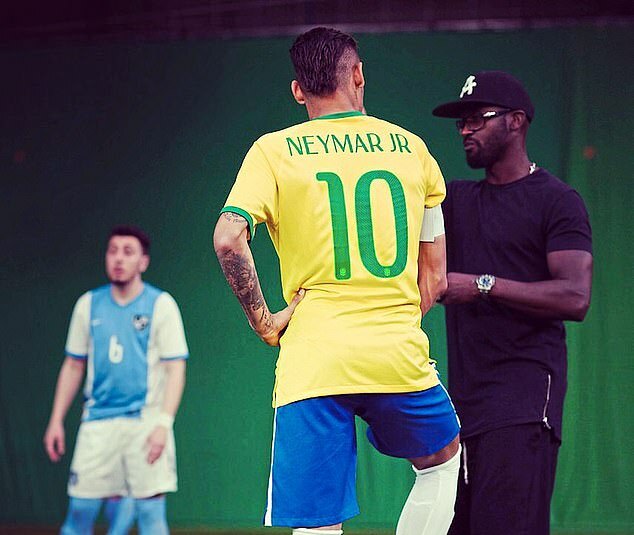 This month, Ansah has been to Paris to work with Neymar for a new clothing brand. As part of Ronaldo’s CR7 machine, he’s due in Turin soon for a latest project. Along the way he coined the phrase “unbelievable tekkers” – slang for outrageous skills (technique) – that has become part of street football language. Ronaldinho is his own personal king of the tekkers. ‘Even Junior (Neymar) calls Ronaldinho the Godfather,’ smiles Ansah.